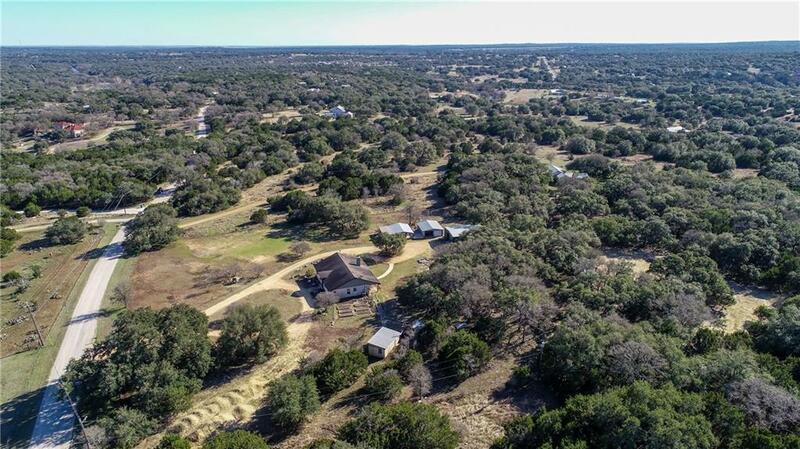 Private mini ranch situated on 4.6 acres in the Texas Hill Country! 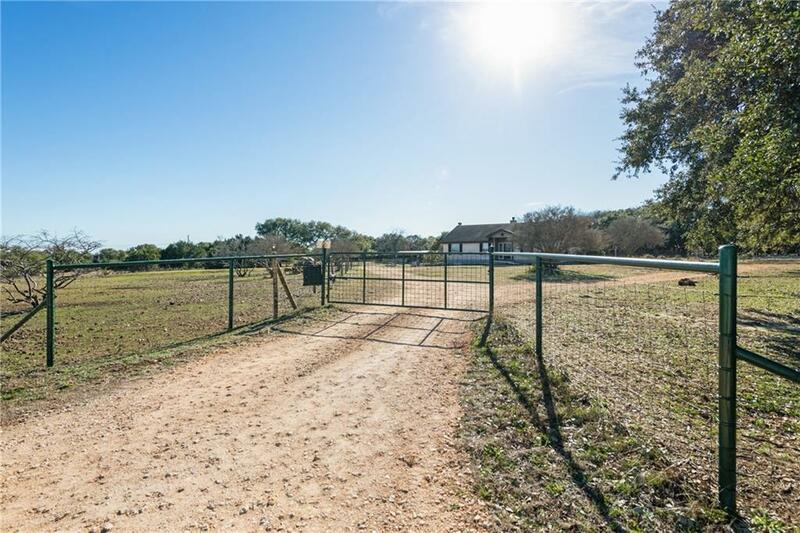 Gated setting on quiet street with short commute to downtown Austin & San Marcos. 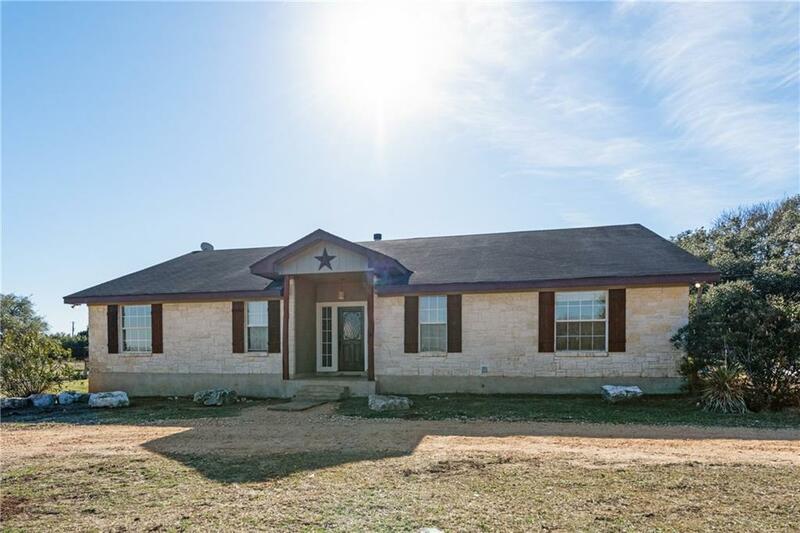 This well-maintained home has many updates, including HVAC, granite countertops, appliances & flooring throughout. Open floor plan, cathedral ceilings & stone fireplace. Relax on your covered back porch! 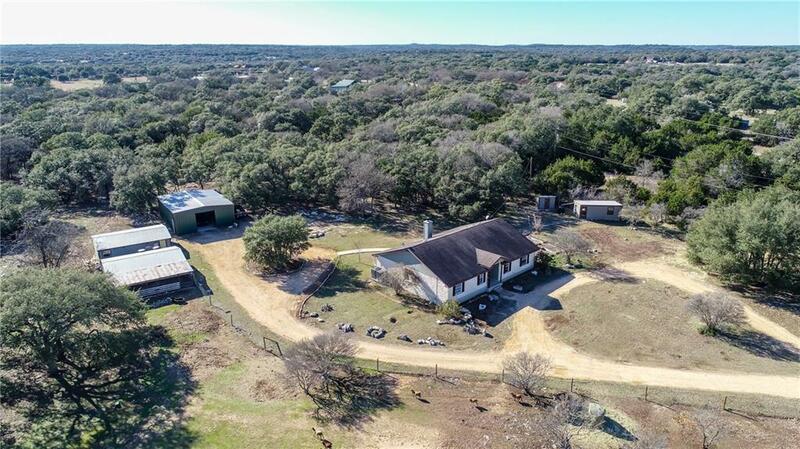 Property is ready for entertaining, vehicles & animals with party barn, 40x30 Mueller building with lift, garage, outbuildings, garden & fencing. No HOA.